They have the same rights as more experienced workers. Their employers are responsible for providing them with a safe workplace. There are some specific safety risks that they could face at work this summer – and understanding these risks can help them stay safe and reduce their risk of being hurt on the job. 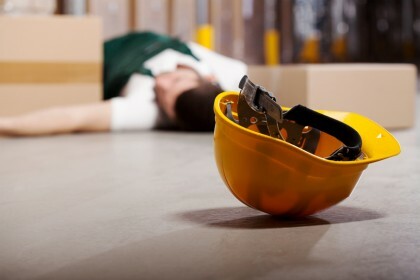 For National Young Worker Safety Day, here are some stats on how often young workers are injured on the job, our Portland workers compensation lawyers explain. In 2013, the most recent year for which complete data are currently available, 335 young workers were killed while working. Every 9 or so minutes in the U.S., a worker younger than 20 gets hurt at work. Workers younger than 25 are two times more likely than older workers to get hurt while working. Exposure to pesticides and/or injuries from lawn equipment – Although this risk may be more specific to those who work in landscaping for their summer jobs, it’s still important to note, and OSHA has developed a special safety guide for these workers/issues. Falling – Falls are one of the leading causes of brain injuries and workplace injuries in the U.S. For workers who will be working in construction or other industries that require them to be on ladders (or do work in high places), it’s important to get fall prevention training to reduce the risk of a potentially life-threatening falling accident. Will you do anything to support National Young Worker Safety Day? If so, share your plans with us on Facebook & Google+. Have you been injured at work? Or have you been diagnosed with an occupational illness? If so, you can rely on the Portland workers compensation lawyers at the Savage Law Firm for experienced help and aggressive legal advocacy.